Bulgarian tourism makes the most of the diverse landscape and capitalizes on the strengths of the geography that they have been blessed with. From mountains to beaches to history and culture, this European country has something to offer anyone who is looking for that unique vacation experience. Travelers to Bulgaria find themselves in the 14th largest country in Europe and one that is proud of its archeological sites, as can be evidenced with the large number of archeological museums that are sprinkled throughout the land. The capital of Sofia offers vacationers the Institute of Archeology that was established in 1892 and is part of the Bulgarian Academy of Sciences. Here you can see stone sculptures, relics, artifacts and ancient gold along with a history of the country and her archeological discoveries through the centuries. 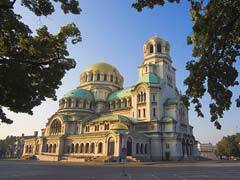 The Rotunda of Saint George is the oldest building in Sofia, having been built in the 4th century. Today it shows visitors its lovely frescoes and the history of the building is shown in panels at its entrance. Also near the capital is Vitosha Mountain where activities can be had both summer and winter. In the southern part of the country, tourists to Bulgaria are treated to beautiful countryside dotted with many small towns and villages and the opportunity to see the Yagodina Caves. 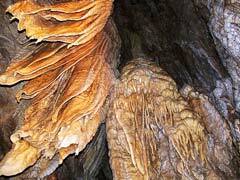 This tourist attraction offers karsts forms including stalactones, draperies, cave pearls, stalactites, and stalagmites as well as multi-colored facets that guided tours allow you to learn about and enjoy. With several halls and many tunnels, this offers a magical underground experience for your entire party. As one of the European countries that has a coastline, Bulgaria offers over 35 different resorts and vacation destinations along the Black Sea. Golden Sands is the largest resort on the Northern Black Sea coast and is located 19 km outside of Varna. They have the purest sand, multitudes of water sports and a casino, bars, golf, waterslides and playgrounds to keep everyone entertained. Travelers to the eastern coast of Bulgaria can enjoy Varna with its close proximity to the beaches and sea, as well as interesting things that make it unique. The History of Varna museum offers the city history as well as that of Bulgaria, artifacts and recreations of stores of old. Located 35km outside the city of Bourgas is Sunny Beach which boasts 100 hotels, 2 campsites and 130 self-catering holiday houses. This resort has the largest and widest beach of all the resorts and offers holiday-goers plenty to do and see. Those looking for a smaller resort when traveling to Bulgaria will love Elenite Holiday Village. This one is situated on a quiet bay and is more sheltered than the mega resorts. 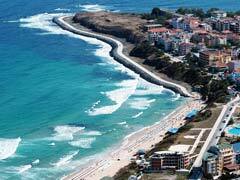 It offers a large beach and lush meadows and is conveniently located just 10km from Sunny Beach Resort. Primorsko is the center for youth travel along the Black Sea coast and is located about 52km outside Bourgas. Situated on a cape between two bays, this resort offers many youth oriented places to stay including 80 homes and camps with 10km of beach to enjoy. There is also nightlife and activities for the many people that summer in the region. Skiing in Bulgaria is a great draw for Bulgarian tourists and they have many ski resorts throughout the nation. Bansko is the #1 ski resort in the country thanks to its modern updates and longest ski season which runs from the middle of December to the middle of May. Located 160km outside Sofia, this facility offers many different runs and had new lifts installed just a few years ago. The après ski charm is in full force as the resort is based in a living historical town where visitors can get the chance to see how the locals really live as well as take part in the cultural experiences of the country. Borovets is the oldest ski resort in all of Bulgaria, dating back to 1896. It is now a modern facility that offers travelers many runs, wonderful snow conditions, a biathlon track and areas to cross country ski and ski-do as well. This resort is located 72km outside of the capital city of Sofia. 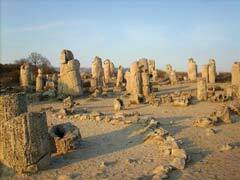 The Stone Forest is an eclectic collection of ancient ruins and rock formations that makes for an interesting stop for those traveling in Bulgaria. It is said that the place has a spiritual quality and that there is healing power in the rocks. The Ancient Roman Spa is one of the biggest Roman ruins in the whole country having been built in the 2nd century. Once used for baths, this Bulgarian tourist spot is something to behold as well as being rife with historical relevance. Bulgaria may not be filled with majestic castles and many centuries worth of architecture like some European countries are, but its natural beauty and diversity makes up for that for the traveler wanting a different vacation experience.